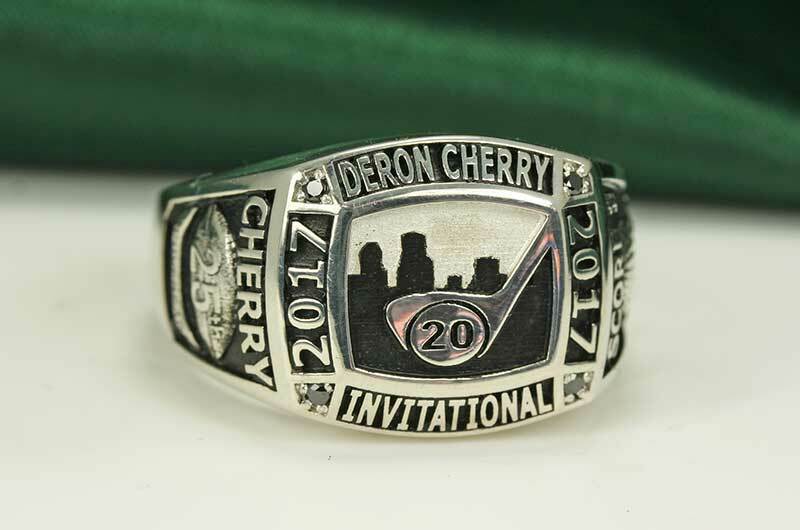 On October 3rd, 2017, the Deron Cherry Celebrity Invitational will be held at the Loch Lloyd golf course and House of Diamonds was chosen to create rings for the team that wins the tournament. 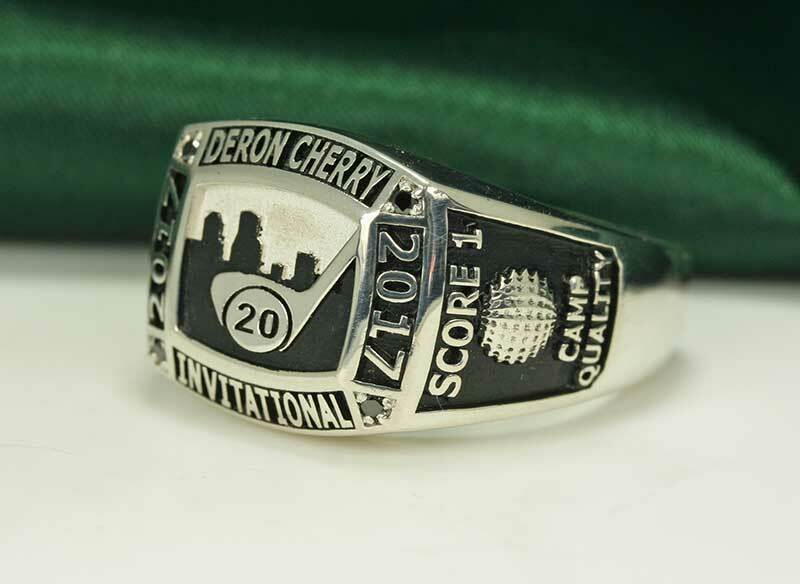 These rings will be personalized with each person’s name and the team score for their winning round. We’re excited to build these rings for Deron’s charity because this is the 25th anniversary of the tournament. 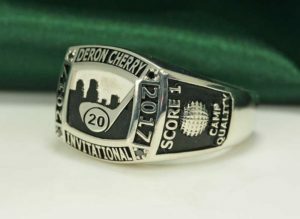 We’ve made a commitment to the Deron Cherry organization to create these rings for future winners. They are reminiscent of a traditional sports Championship ring. Karen Cullinane custom designed the rings. They were cast and completed on-site at House of Diamonds and embellished with black diamonds. We have a great relationship with the Kansas City Chiefs organization. We build their Ambassador Rings and have been doing so for nearly a decade. Deron Cherry is an Ambassador and that’s how we met him. We learned about Deron’s work with local charities and support his mission. Over the past 24 years, the Deron Cherry Celebrity Invitational has raised more than $2 million to support various local charities. The 2017 tournament will benefit Camp Quality Greater KC, Score 1 for Health and Midwest Animal ResQ. Regarded as one of the finest free safeties to have ever played the game, Deron Cherry was a six-time Pro Bowl selection from 1983–1988, starting in five of them in his 11 years with the Kansas City Chiefs.